We at JMI Insurance are devoted to making the process of finding great insurance straightforward and simple for our customers. We have over 30 years of experience working with home insurance, and one of our specialties is fire insurance. There are home fires reported about every 85 seconds in the U.S., and in the year 2012 alone fires caused around $7 billion in property damage in residential homes in the U.S. Fire insurance is one of the most important kinds of home insurance. It is essential for protecting your family, your home and your possessions in the case of a fire. We work with a wide selection of top insurance providers such as Safeco and Liberty Northwest so that we can find a home insurance policy that you can feel satisfied with. 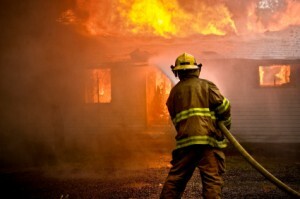 We will find you a fire insurance policy that provides the best coverage for the best value. You won’t pay an arm and a leg on your premiums, and you won’t have to worry about worst-case scenarios in case of a fire in your home. We can get you a great fire insurance policy, and our friendly and hard-working insurance agents will be with you every step of the way to provide phenomenal customer service. We give personal attention to every single customer that we work for. Our agents will listen attentively to your individual insurance needs and find a policy that covers all of those needs. If a fire occurs in your home, it can destroy everything you and your family have worked so hard for. We understand this, which is why we have made a point to give our customers the best possible protection from fire damage. With a policy from JMI, you can feel safer knowing that your home and possessions are covered for in the case of a fire. We are home insurance experts at JMI Insurance, and being an independent agency allows us to add a personal touch with our customer service. 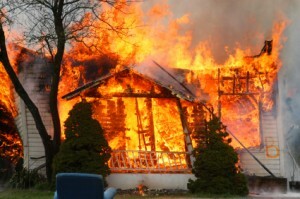 Let us help you protect your home and your belongings from fire. Contact us online or by phone to request a free quote!